The original RK treats are said to have been invented by Kellogg Corporation co-workers Mildred Day and Malitta Jensen in 1939, possibly inspired by an earlier recipe that used puffed wheat and molasses. 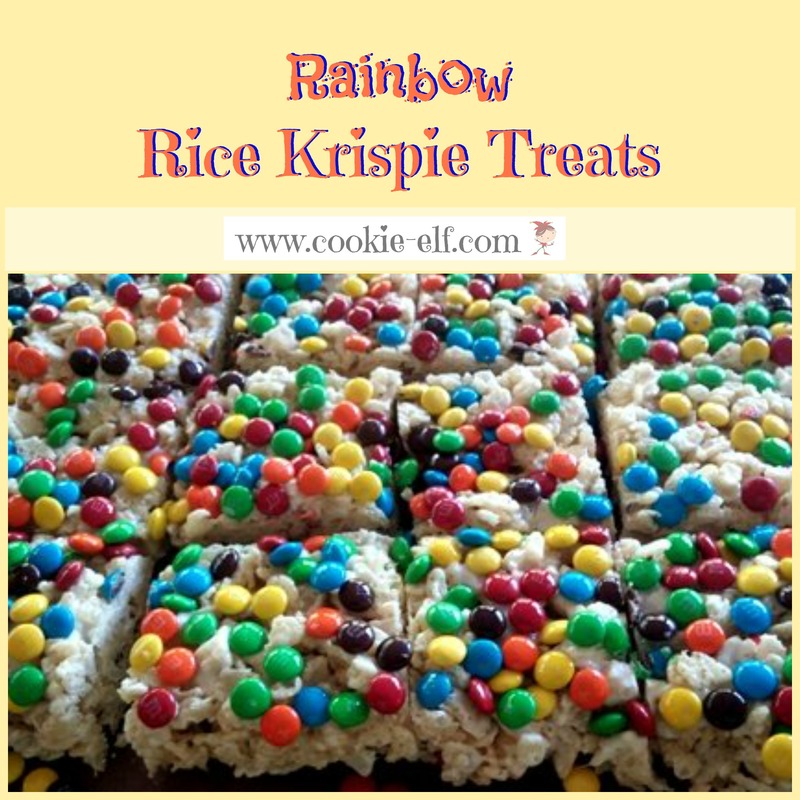 When the Camp Fire Girls organization contacted Kellogg for ideas for fundraiser, the company directed their attention to Day’s easy cookie recipe made from the popular rice cereal. In 1996, M & M Minis were introduced to the market. And oh, how we love them! Line a 13 x 9 baking pan with foil, allowing the ends of the foil to drape over the ends of the pan. Spray the foil lightly with cooking spray. Sprinkle miniature chocolate candies on the bottom of the pan. Set aside. Measure rice cereal into a mixing bowl. Set aside. Set butter and marshmallows in a large, microwave-safe bowl. Microwave on high for 1 minute. Remove the bowl from the oven and stir. Return bowl to the oven. Repeat. Stir the marshmallow mixture until it is smooth. Pour marshmallow mixture into rice cereal. Mix thoroughly to coat cereal and peanuts. With a spatula or wet fingers, press cereal mixture over chocolate candies in the prepared baking pan. Place a cutting board across the top of the baking pan. Flip pan over. Peel back the foil. The chocolate candies will now be on top of the cookies. Use a long bread knife to cut bars into 2 inch squares. Store bars in an airtight container with waxed paper in between layers. If you do not wish to use the microwave, you can melt butter and marshmallows in a large saucepan on the stove top at low heat, stirring continually, until they are melted and smooth.